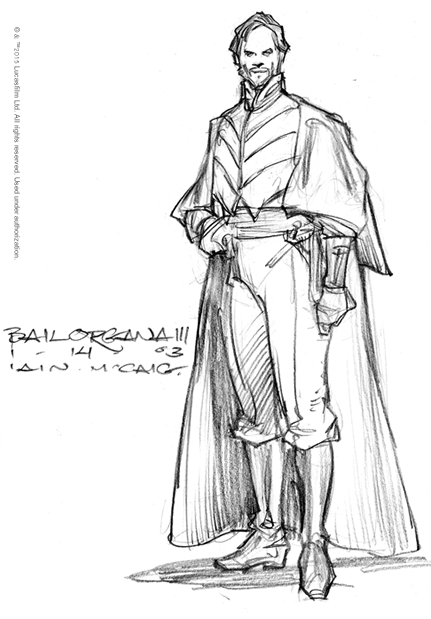 For the prequels, designers developed myriad shapes, fabrics and textures for the flow of senators of all sizes, hailing from all corners of the galaxy. 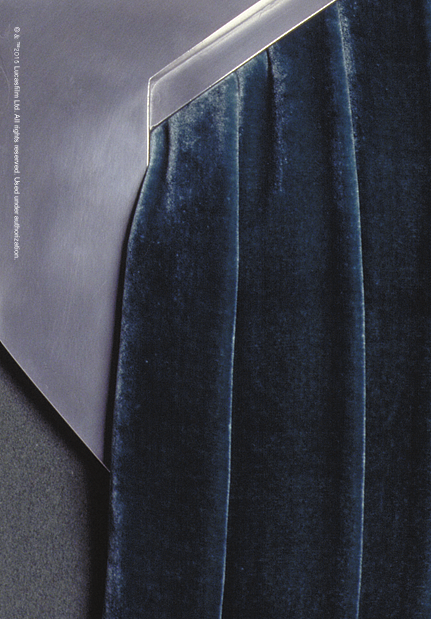 The confines and constraints of protocol and ceremonial customs are evident in these highly detailed costumes. 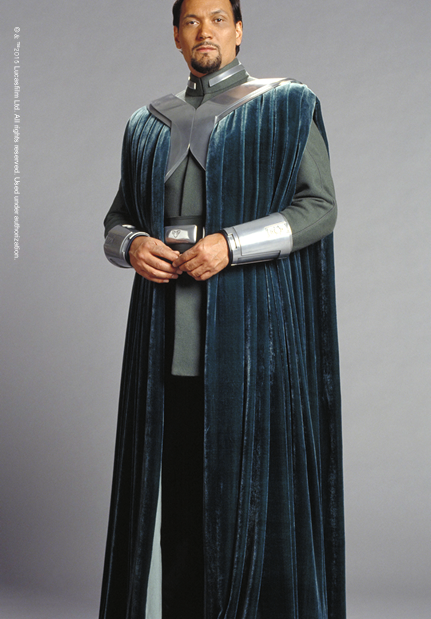 Bail Organa’s senatorial robes of flowing velvet, with armored shoulder harness and cuffs, are worn over a wool uniform, with a belt buckle adorned with the insignia of his home world, Alderaan.